There has been much debate over whether it’s better to use 3 lightning spells when using Mass Dragons, or if it’s better to use 2 rage 1 heal. The answer is actually both! It depends on the style of base for which you should use. Lets see some examples. For TH 7s: Use Lightning! TH 7s only have 2 air defenses! Air defenses are the only thing that do big damage to dragons. 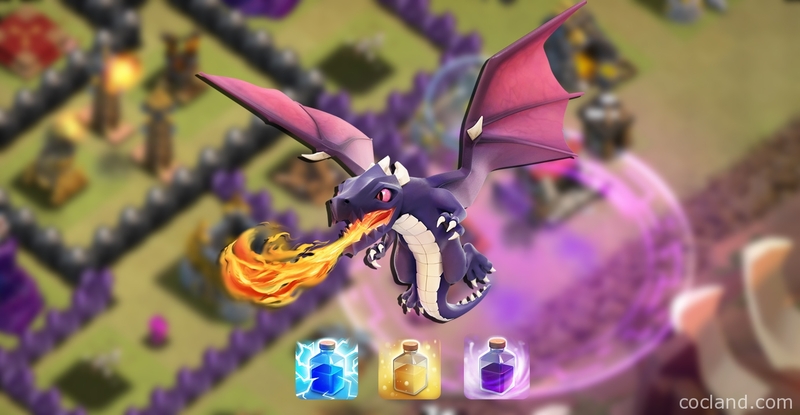 By removing one, you are removing 50% of the buildings that can to big damage to dragons! Very efficient! Just remember that it takes level 4 Lightning Spells to remove level 5 Air Defense. 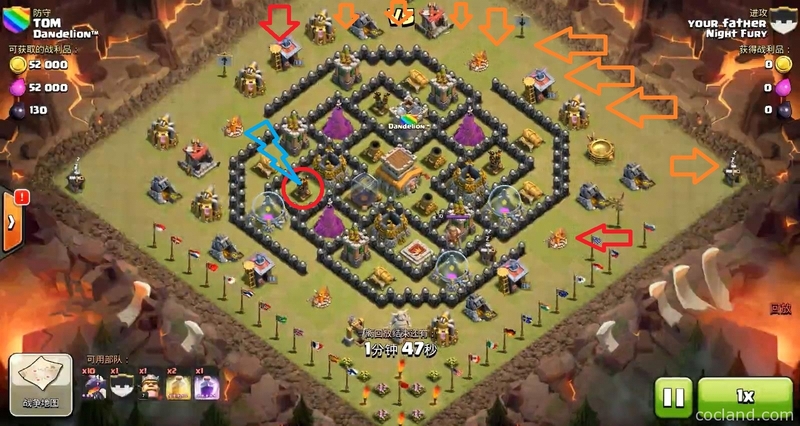 For using Dragons, deploy 2 Dragons towards the left, 2 Dragons towards the right (red arrows) Then the remaining 6 Dragons and CC Dragons/Balloons in between (orange arrows). Since there are 3 Air Defenses with Town Hall 8s, it is sometimes better to use 2 Rage 1 Heal. Lets take some examples!!! On Bases that have air defense more spread out towards the outside, use Lightning Spell! 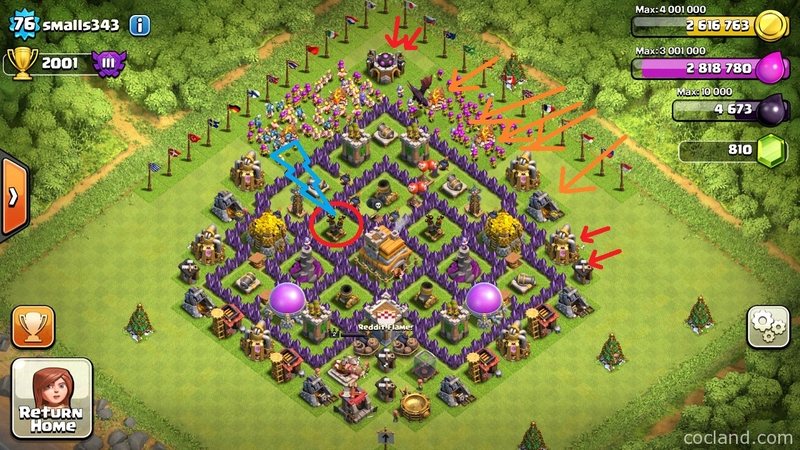 Due to this base design, you will only need 1 Dragon to go right, and 1 Dragon to go left (red arrows) Since the air defense is so spread out. Then after a few seconds, drop the remaining dragons and CC Dragon/Balloons where the orange arrows, NOTE that you must place a dragon on corner builders huts, or you might get stuck with an ugly 99%. 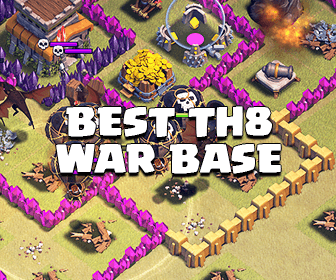 Ahh remember that tricky TH 8 Moat base design that you could never get? Well now you can! The key is to put 2 dragons left, and 2 dragons right (Orange and random grey arrow). Then wait for some buildings to clear, then put your remaining dragons and cc dragon/balloons where the red arrows are. Those dragons will go straight to the center, deploy a rage spell once the dragons are getting targeted by air defenses, don’t deploy your rage spells early! When your dragons are in the hot box, deploy a heal spell where the yellow ring is. Then depending on where your dragons are, will show where the last rage spell goes. Basically if air defenses are way spread out, lightning the far defense and spread your dragons across the other 2. 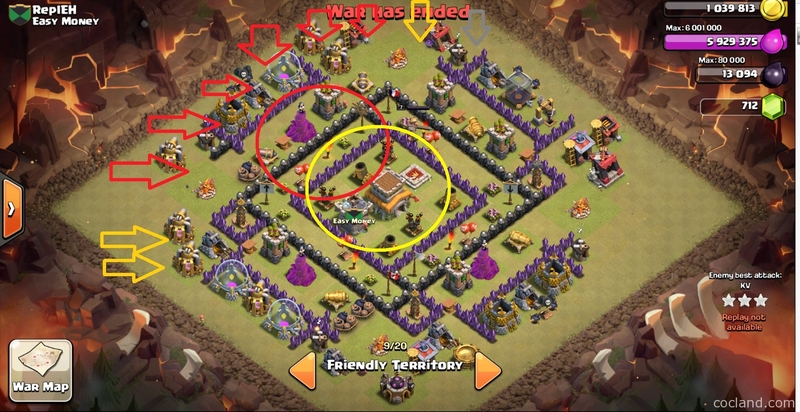 If the air defenses are tucked tightly in the center of the base, use 2 rage 1 heal. Here is a great video of Mass Dragon 3 Stars, watch it from 10:34! 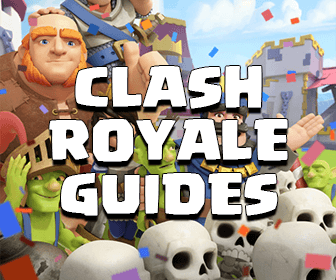 Hope this thread has helped you learn when to use lightning and when to use 2 rage 1 heal for mass Dragons! Now go to your Clan War, and get a 3 stars!! !